A solid design statement that is comfortable and classy. 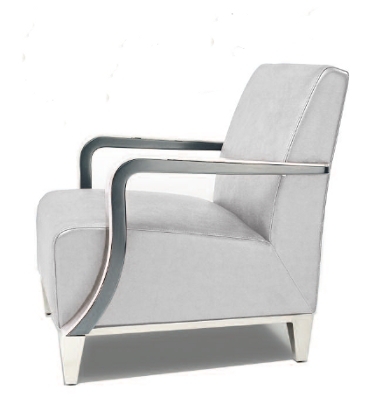 The light sweep of the armrests contrasts the solidity of the seat beautifully. Features include full-grain Italian leather, solid stainless steel arms with wood trim, and stainless steel feet.